Money Market Tips: STOCK MARKET--Will 2019 be a good time to invest in the Indian Stock market? 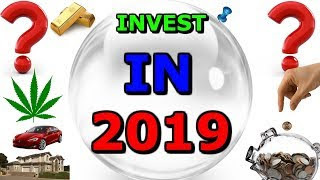 STOCK MARKET--Will 2019 be a good time to invest in the Indian Stock market? I want to congratulate you first that you are considering making investments in the stock market. I went through your profile and found the question where you were asking about beginner’s luck in stock markets and since I couldn't find any answers or questions related to finance or economics in your profile I will assume you are not very familiar with the idea of investing in stock markets. So let me make a few things clear. Investing in stock markets is both a science and an art. I know many people say investing in stock market is like gambling but I beg to differ. If you invest like a gambler then the outcome will also be as such but if you are an intelligent investor you can make some good money. For starters never, I repeat NEVER invest based on what someone told you on a public platform or forum or even from that successful relative who made a ton of money in stocks. Even seasoned investors who emulate the stock portfolio of successful investors can’t get it right. Why? Because the little difference in goals and objectives add up to a significant difference. So when you invest, do it based on your understanding and your goals.Investment is a very personalised thing and should be done the way it suits your needs best. That is why you need to learn at least the very basics of investing. So you begin by deciding how long do you want to invest. Is it long term, medium term, short term or day trading? Based on this choose your stocks. Choosing stock is where most get it wrong. It might be tempting to go for penny stocks( low priced stocks) or stocks that have high price volatility to get an easy profit. But no, choose stocks based on fundamentals. Read the balance sheets, annual report, every information freely available about the company. If you are investing long term you might consider the potential for growth. How many competitors does the company have. If it is a very unique company look for similar companies, their past records. If you are meticulous about the whole thing chances are you might hit a diamond in the rough. Another thing, spread your portfolio according to risk. If you can't afford to lose money then go for safer bets with established companies who give sort of assured returns. Otherwise mix the portfolio with risky stocks and the good old ones. Also keep an eye on the market liquidity of the stock, that is, how easy it is to buy or sell the stock on the market. You might have an excellent stock but if liquidity is bad then you might not be able to execute a trade when you want to. Next comes TA or technical analysis. This is the science part of investing and makes investing in stocks different from gambling. Some real smart people figured out a way to roughly predict how a stock will behave. You start by learning to read candle stick charts . Then move to learning Bollinger Bands, after that learn RSI or Relative Strength Index. Using these three indicators you can make a fairly accurate prediction of the price movement of your stocks. Once you mastered the three you can use other indicators as well. But remember other good investors also read charts so they too will take similar positions so factor in that aspect as well when taking up a position. Time your entry and exit based on TA. This can make a huge difference to how much you profit. Also read newspapers and track economic and political developments that may have a bearing on your stocks. If they can potentially affect your stocks take a suitable position. If you have say INR 100K then set aside at least 20K which you can invest when a very good position opens up. Don't just invest all your money at once. Lastly use stop losses based on your objectives. This can make the difference between losing money and making money. Thanking you, Wish you good luck.